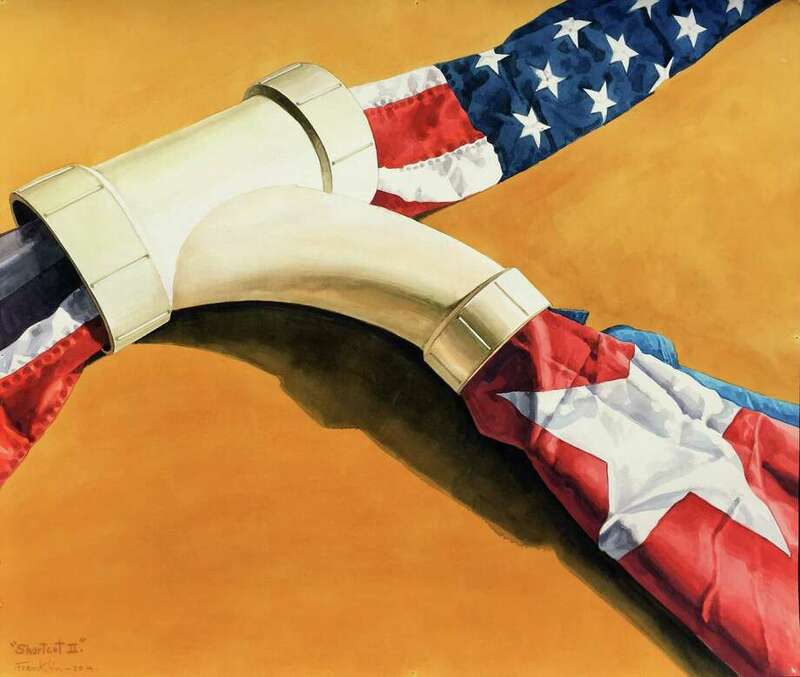 The Franklin Alvarez watercolor, “Shortcut II,” will be on display in the new Two Steps Forward: Contemporary Cuban Art” exhibition at the Westport Arts Center. WESTPORT — “Two Steps Forward: Contemporary Cuban Art,” showcasing recent works by Cuban artists, will be on view at the Westport Arts Center through June 4. The exhibition features contemporary Cuban art from the private collection of Greenwich residents Terri and Steven Certilman. The Certilmans obtained the pieces directly from the artists during travels to Cuba over the last decade, according to publicity from the arts center. Certilman and guest curator Arianne Faber Kolb curated the show’s painting and sculpture. Artists represented in the exhibition include established figures such as Abel Barroso, Luis Enrique Camejo, Manuel Mendive, Juan Roberto Diago, Jose Roberto Fabelo and Kcho, as well as younger artists Joniel Leon, Harold Lopez, William Perez and Mabel Poblet. For information, call 203-222-7070 or visit www.westportartscenter.org .